Start off your summer roadie in the South Island’s capital – Christchurch. We’re not wasting any time here though! Get up and out of bed as early as you can and make your way down the scenic highway to Hokitika. Hokitika is about a 3-hour drive from Christchurch and making your way from Canterbury to the West provides for lush New Zealand Landscape. As you journey to Hokitika you will pass through you will see wide rivers and large stretches of beech forest on one side of you are dense rainforests that follow gorged rivers. You’re not short of panoramic views on your first stretch of your South Island Summer Road Trip. 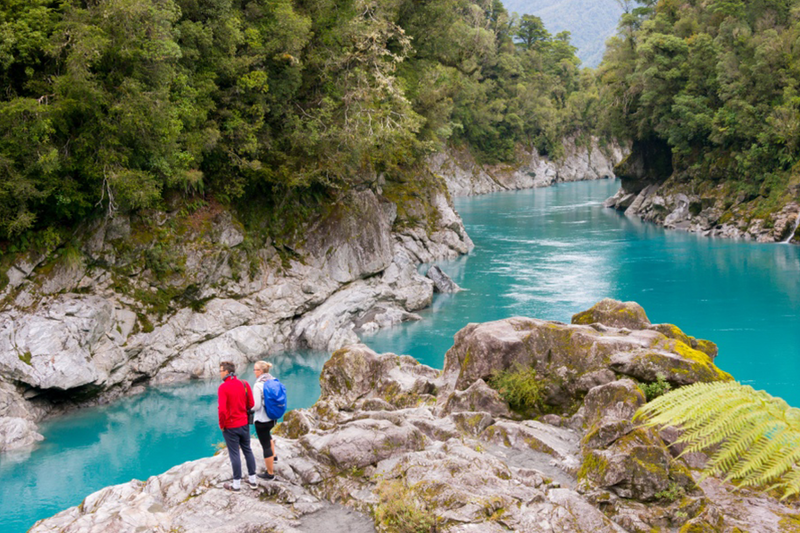 15 minutes out of Hokitika is the Hokitika Gorge Walk. This stunning walk is an easy 15 minutes from the car park and is the first official stop on the South Island Summer Road Trip. Stretch the legs and head along the walking track until you reach the first viewing platform. Continue further on the track until you see a swing bride. This boasts a clear view of the crystal clear blue waters of the Hokitika river and provides for an ever so insta-worthy picture. We’re back on the road again! Just an hour-40 minutes’ drive is Franz Josef Village. Here is where the road trip will rest for the day, but not before another exhilarating adventure. Just 10 minutes drive out of Franz Josef Village is the entrance to the Franz Josef Glacier walk. Only 30 minutes into this walk is the wonderful Trident Creek Falls. These are a must-see when travelling along the West Coast. Photo: Make sure you check out the Blue Pools - spectacular! Day two brings another action packed day and the Blue Pools walk is first on the list. Make sure you’re up nice and early to make the most of the day because to get here is 2 ½ hours from Franz Josef. 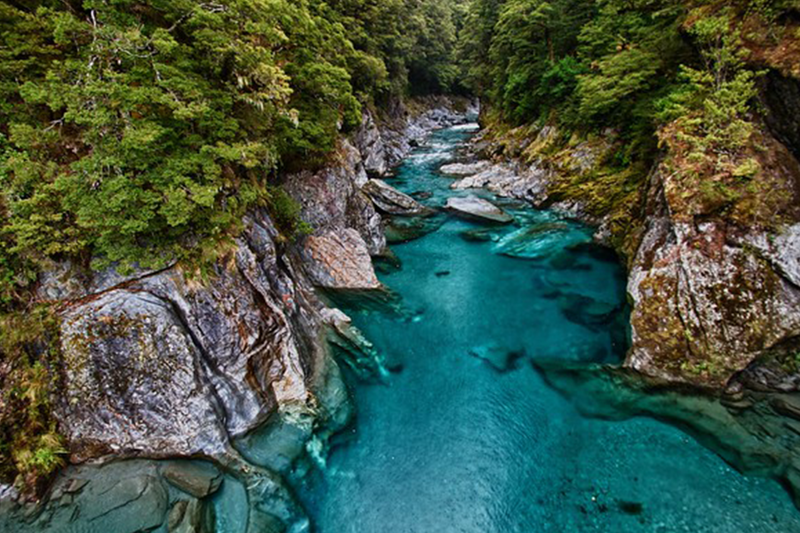 The Blue Pools are a spectacular sight and is pure glacial water located in Mt Aspiring National Park. It’s an easy 1 hour return walk, so you do not have to be super fit to see them for yourself. Out of all the places to visit in New Zealand, these have got to be one of the most spectacular. Another 1-hour drive brings you to the infamous Wanaka. One of our favourite places to visit in New Zealand is Wanaka. Whether you’re looking for a hike or an easy walk along the lakes edge, Wanaka has it. 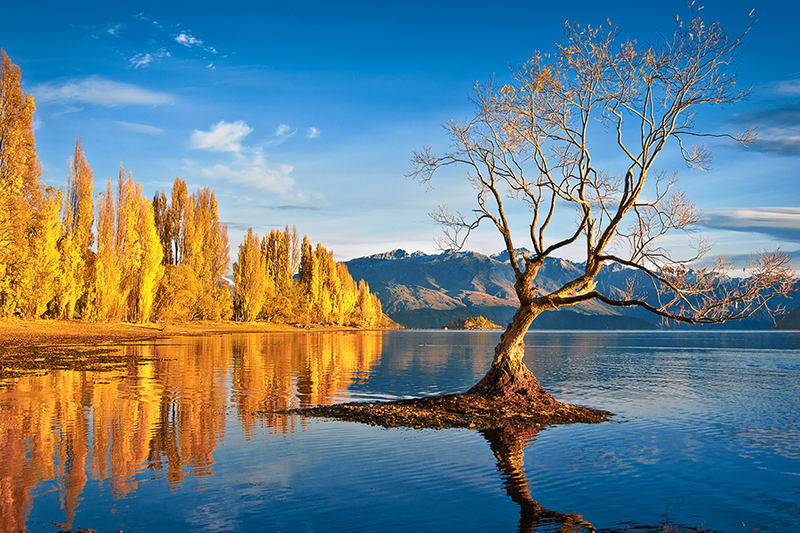 Once in Wanaka you cannot miss going to see that famous Wanaka Tree. It’s quite literally a tree in the middle of the lake that captivates many photographers, tourists and locals alike. There are many things to do here in Wanaka, such as hiking up Roys Peak, visiting the Puzzling World or getting on ya bike and doing some mountain biking. No matter what you feel like doing, Wanaka has you covered. A South Island road trip wouldn’t be the same without a trip to Queenstown. On your way, stop and take in what you see along the journey. 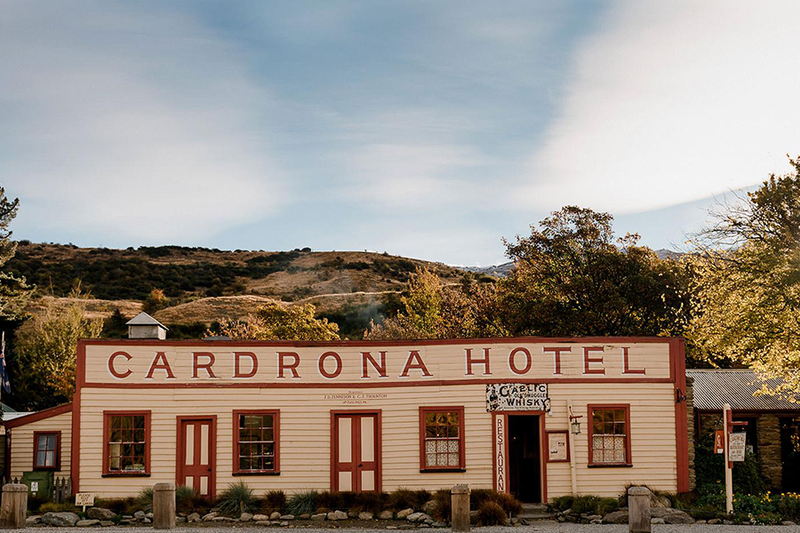 You pass through an old town called Cardrona, which is home to Cardrona Hotel - one of the oldest and most iconic hotels in New Zealand. Once you get to Queenstown you’re not short of entertainment. In fact, Queenstown is one to the top places to visit in New Zealand. There are a whole range of things you can do in Queenstown, from wine tasting to zooming along the shot over river on a jet boat. During your time in Queenstown you want to make sure you pay a visit to Ferg Burger. Ferg Burger is the ultimate gourmet burger joint in the South Island. Only found in Queenstown, it can get quite busy some times, however, the wait is well worth it. If you want to do something a bit different, check out the MINUS 5º ICE BAR. Here your dreams of being an Eskimo will come true. They provide warm clothing for you to use whilst you experience relaxing on ice furniture and drinking cocktails from ice cups. They also have non-alcoholic beverages and is perfect for any age group. Next on the list is Lake Tekapo. You’ll find yourself in a postcard as soon as you make your way into the small town of Tekapo, where the turquoise water of Lake Tekapo sit perfectly with the monstrous mountains of the Southern Alps in the background. Whilst the view of the lake is enough to get a good Instagram, visiting the Church of the Good Shepherd is a must-see. The Church is an iconic building and provides master opportunities for photos, so it is not un-common to see many photographers in the area trying to get the perfect shot. However, please make sure you respect the Church whilst visiting. 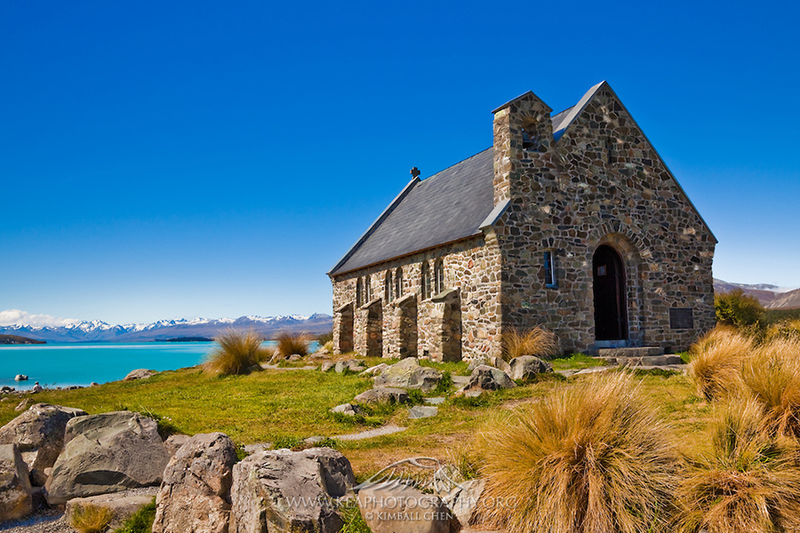 Photo: The iconic church situated on the edge of Lake Tekapo. That brings us to the end of our South Island Road Trip. Take in all the beauty surrounding you on your journey from Tekapo back to Christchurch. Driving around the South Island is like driving through a post card, so feel free to stop off and take your time.